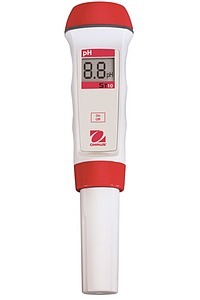 pH Analysis Pen features a durable plastic housing, a cap to protect the sensor and automatic shut-off. Measurement Range 0.0 - 14.0 pH, resolution 0.1 pH, accuracy +/- 0.1 pH. Operates on 4 - 1.5V batteries (included).